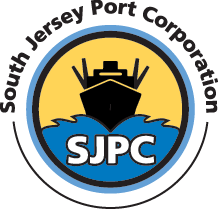 In accordance with the Open Public Meetings Act, N.J.S.A 10:4-6, the South Jersey Port Corporation is providing notice that the January 27, 2015 Board of Directors meeting has been rescheduled due to inclement weather. The meeting will be held on Tuesday, February 3, 2015 at 12:30 p.m. EST in the SJPC Board room located at the Broadway Terminal, 2500 Broadway, Camden, NJ 08104. The meeting is open to the public. A portion of this meeting may be closed to the public.